The Election Commission had on two occasions postponed polls to Aravakurichi and Thanjavur Assembly constituencies. In a first in India's electoral history, the Election Commission today decided to rescind the notification and conduct polls afresh "in due course of time" to two Tamil Nadu Assembly seats following evidence of use of money to influence voters. 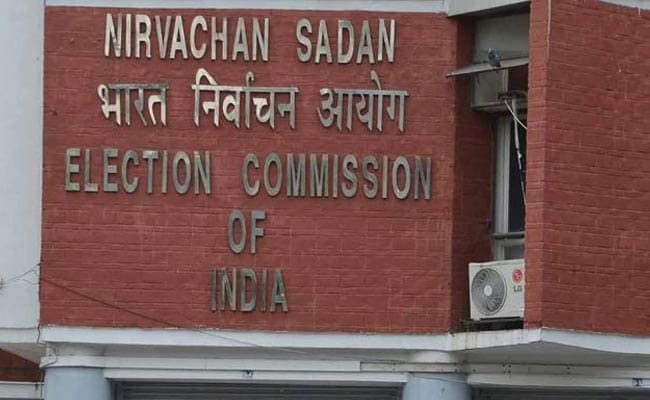 Earlier, the Election Commission had on two occasions postponed polls to Aravakurichi and Thanjavur Assembly constituencies following reports of large scale distribution of money and gifts to voters by the candidates and political parties. Initially, the polls were postponed from May 16 to May 23. On May 21, the Election Commission had decided to once again postpone the polls to June 13. Tamil Nadu went to Assembly polls on May 16 when AIADMK returned to power for a second consecutive term. "...the EC is satisfied that the election process in the two constituencies, because of inducing electors by candidates and political parties by offering money and other gifts to woo them in their favour, is seriously vitiated and cannot be allowed to proceed and ought to be rescinded so that fresh elections may be conducted de novo in these two constituencies when the atmosphere becomes conducive to the holding of free and fair elections after a reasonable lapse of time," an official said quoting a Commission order. The Commission usually takes such a harsh step when there are evidences that muscle power has been used to influence voters. But cancelling polls following use of money to induce voters is so far unheard of. The DMK, meanwhile, today once again petitioned the Commission to hold polling in Aravakurichi and Thanjavur Assembly constituencies before June 6 and not on June 13 due to the Ramzan season and Rajya Sabha elections to Tamil Nadu. Referring to a Madras High Court directive to Election Commission to take a decision on the polling date for the two Assembly seats by May 27, DMK said it had not yet received response from Election Commission to its request made earlier in this regard. "We have not yet received any communication from you regarding our request, which is ordered to be considered preferably before May 27, i.e. yesterday. Hence we are submitting this reminder," DMK Organisation Secretary RS Bharathi said in a memorandum to Chief Election Commissioner Nasim Zaidi.